At NutriBear, we’re on a mission to demystify the traditional concept of Collagen by delivering it in the best way we know how: bare and clean, with a dash of fun and science. Armed with our goal to paw-sitively impact the lives of 100,000 people by 2023, our hope is you break through your health bear-iers to live your best life, and help save the seriously endangered and lovable bears, while doing so. 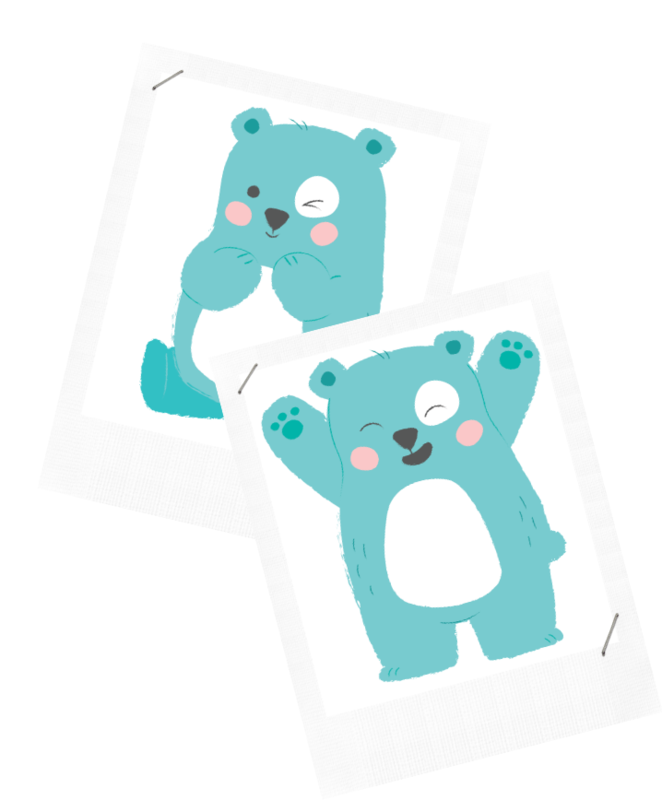 At NutriBear, we don’t bear-lieve in having 1,473,593 filler ingredients in our products. Nope. No thanks. Na da. What we do bear-lieve in are products that are bare products that carry active, natural, and rich ingredients that bring un-bear-lievable health results both inside and out! By blending a fun yet scientifically-backed approach to delivering collagen, we are spreading the unrivaled, natural benefits of this powerful supplement. Plus we only sell products that we, our family and friends would use at home. Whether it’s to hydrate your skin, enhance those muscles in your joints, or achieve those strong, luscious locks, we got you covered! Our collagen formulas help you live a paw-sitive life – because after all – good health and well-being is for everyone. Help us save endangered bears! In the next 10 years, population of bears worldwide is expected to decline significantly. To help combat this scary situation, we donate 5% of NutriBear collagen sales to bear conservation. With each collagen product you buy, you are not only improving your health but you are also directly helping save the life of an endangered bear. Our goal is to donate at least $50,000 by the end of 2023 and that’s why we are looking for action takers to join the NutriBear family. Hello, I 'm Joo Chin! Founder & lead passion-provider for NutriBear. I may be an introvert by nature, but it’s my lifelong and sincerest wish to form real, meaningful relationships in everything I do. To me, that means staying true to who I am, being conscious of others, and always conducting myself with integrity. These traits are something I try to bring into NutriBear at every chance I get! I’ve always been known as what’s called Multi-passionate – I have a love for so many different types of things I’ve discovered throughout my life so far. That means, you’ll usually find my head in a book of researching online, because I’ve devoted myself to life-long learning and enlightenment. Maybe hibernation is the passion point I’ve connected so well with when it comes to bears (can you blame me?). But in all realness, I truly believe that a good night’s sleep can cure any ailment. Combined with a healthy lifestyle, proper rest can set you on whichever path you’ve chosen for yourself. It’s not called beauty sleep for nothing, am I right? NutriBear was born as a passion project that’s rooted in two things very close to my heart. The first is a commitment to living your best life – one of health, physical fitness, and wellness. The other is a deep, irrational, yet wholehearted love for fuzzy wuzzy bears. Yep – like, the animals. After all, what could possibly make a better mascot for a product designed to keep you protected, strong, and growling with vitality? As a certified vet, I’ve seen first hand the effect that Collagen can have on the body. As a self-confessed fitness nut, I knew that the increased muscle strength and joint pain relief associated with Collagen was an absolute must-have in my busy daily routine. And with added benefits like glowing skin, luscious hair and stronger nails, I knew my calling was to demystify Collagen, breathe fresh air into the industry and destigmatize the protein supplement so that everyone can enjoy the benefits. One thing was for certain when I started started NutriBear, and that was the charitable donations from profits that we would give towards what I believe to be the most noble cause of all – the preservation of endangered species. As a brand, we are committed to supporting and championing their rehabilitation and ultimate survival – a journey that NutriBear customers can be a part of with every purchase!